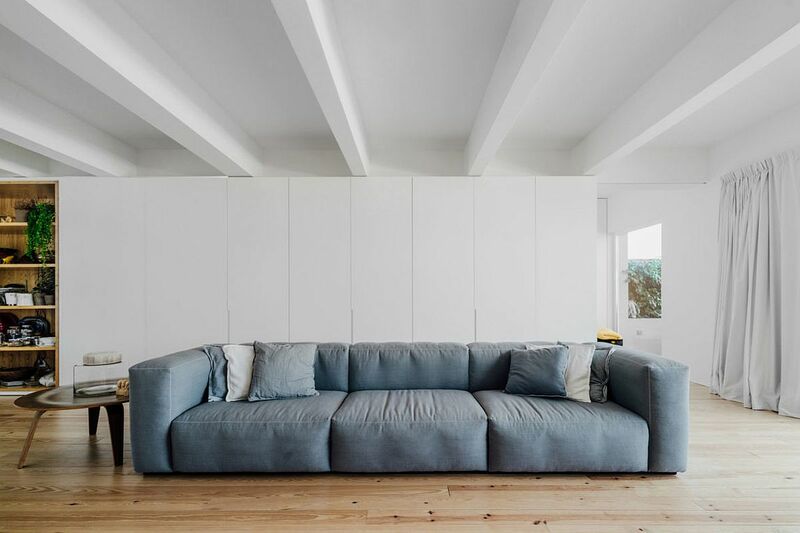 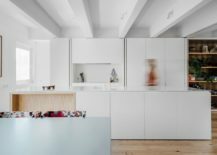 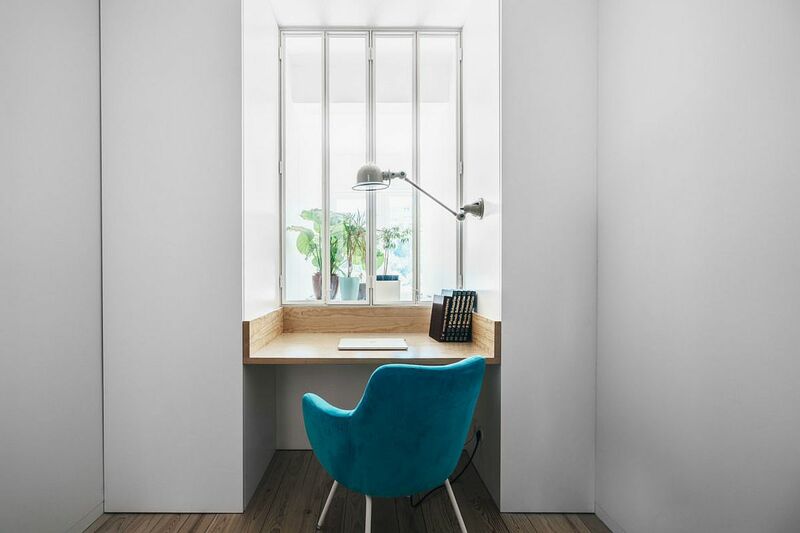 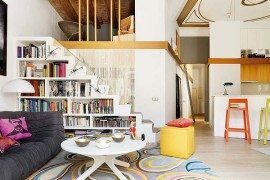 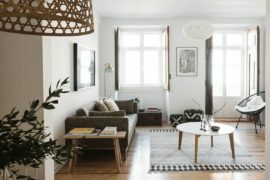 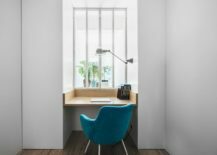 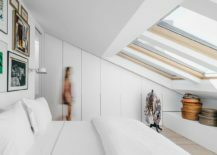 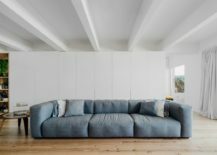 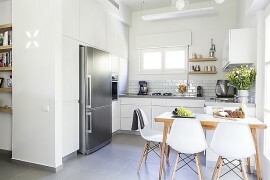 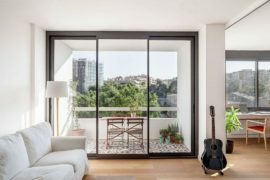 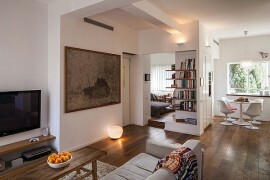 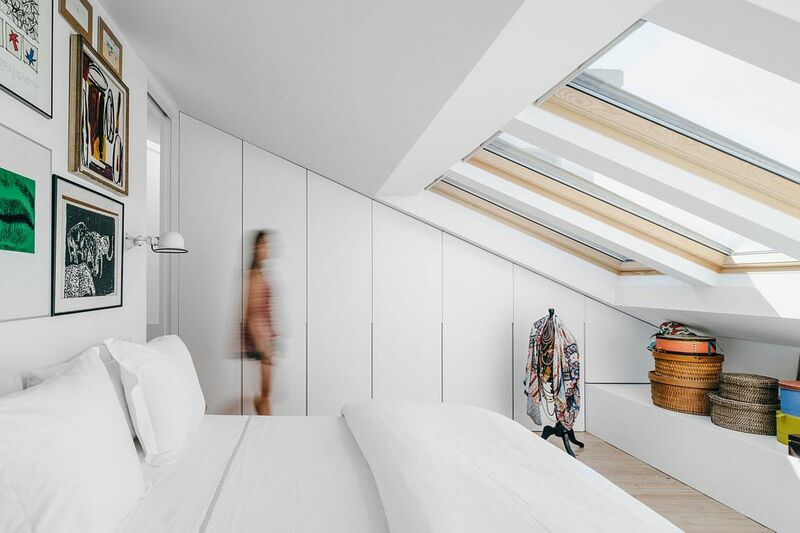 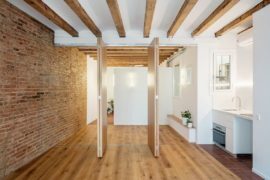 Perched atop an old building in Lisbon, Portugal and offering wonderful views of the dreamy city even while welcoming you gleefully, this cheerful apartment was a dark and outdated space before Atelier Data Architecture Firm stepped in. 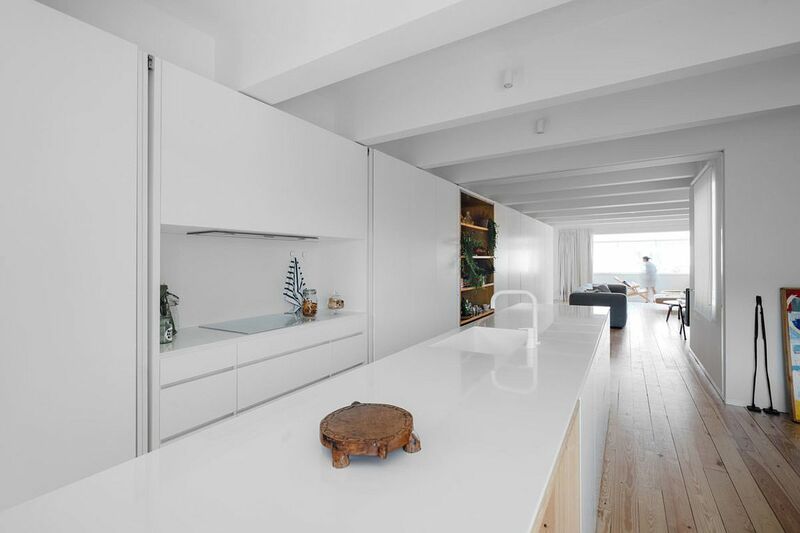 The transformation is truly exceptional with the remodeled interior being draped in white and filled with a flood of light, which makes a huge difference to the overall ambiance. 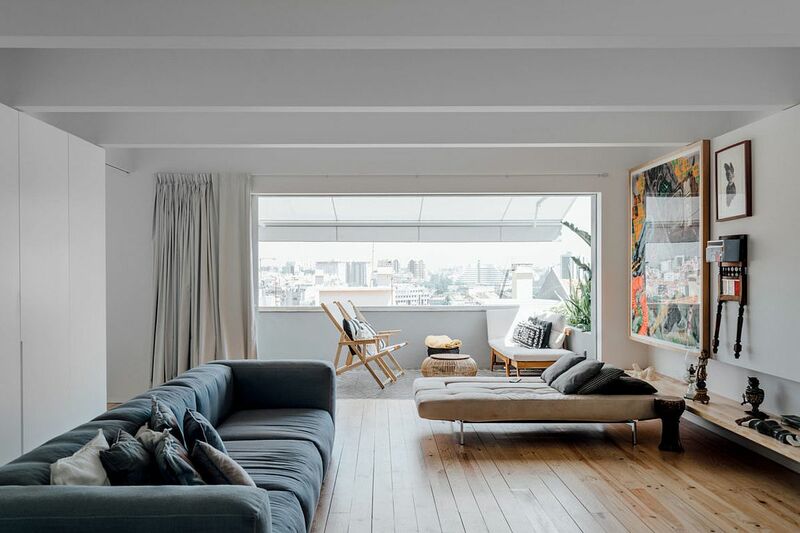 Spread across the top two levels of the building, relying on natural ventilation was an obvious part of the makeover which was aimed at bringing modernity to a space originally built in the 1930’s. 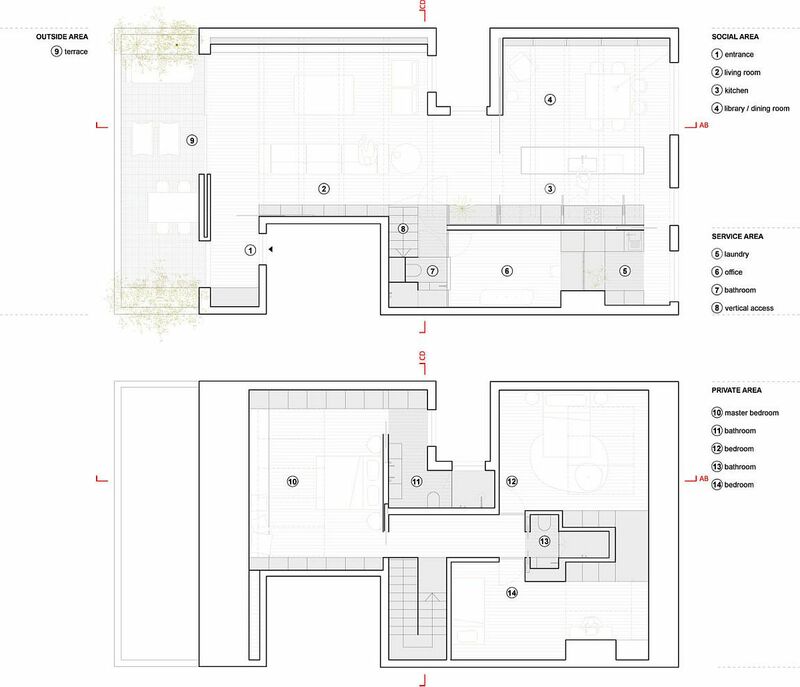 Removing internal partitions and creating an open living area with a large balcony on one side and the kitchen and dining on the other helped create an inviting and spacious social zone. 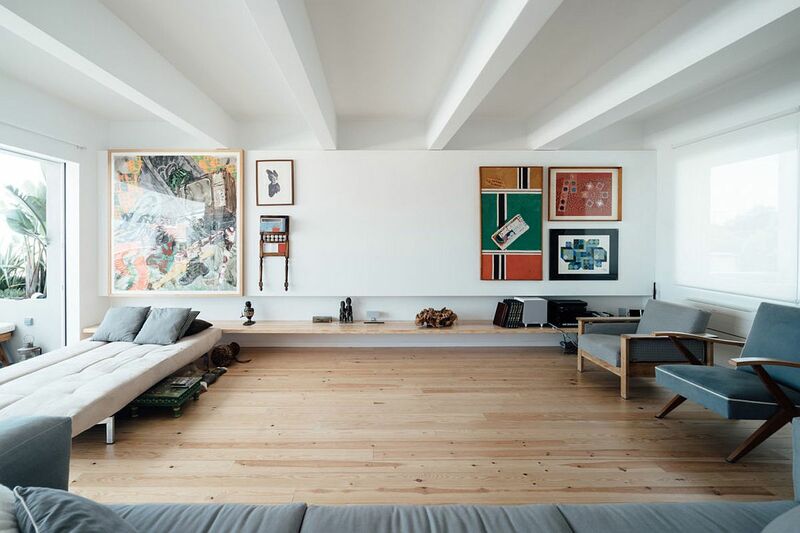 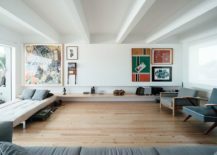 Despite being clad in white, it is wooden floors and a curated collection of colorful wall art that add character and contrast to the interior. 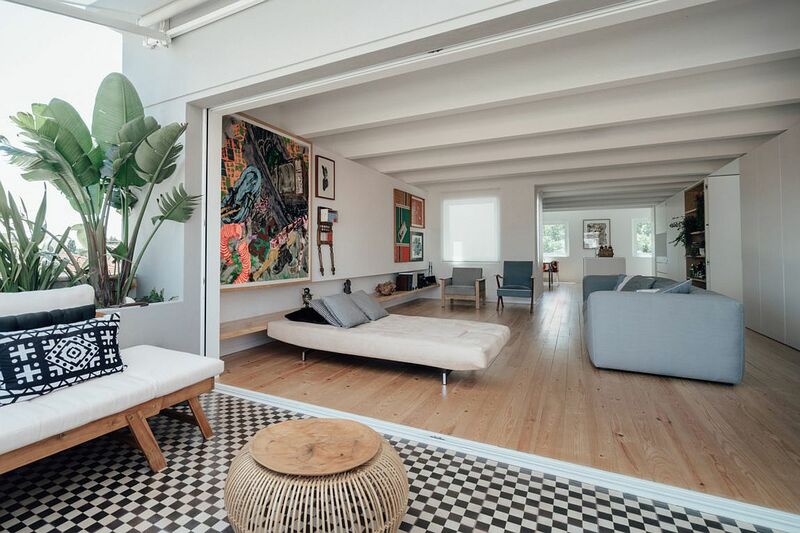 Décor is kept minimal and muted with indoor plants and the bright dining table chairs providing pops of color. 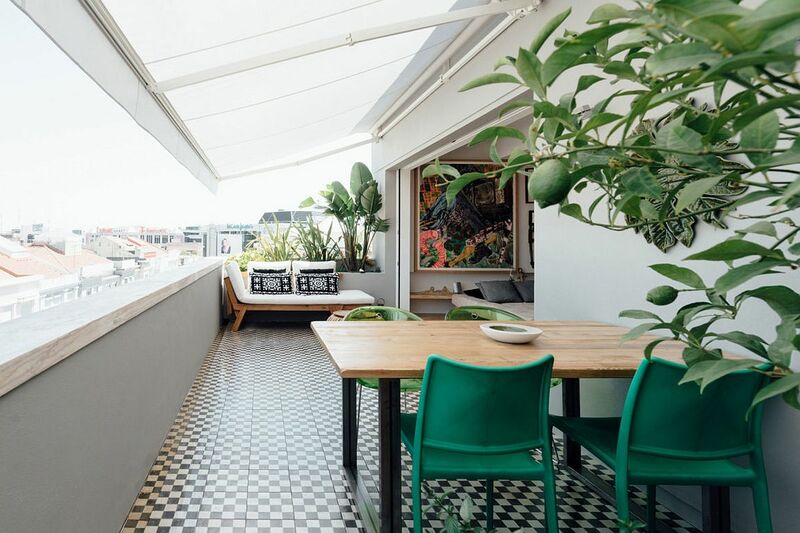 Large windows and a seamless connectivity with the terrace create a harmonious indoor-outdoor interplay that leaves one charmed! 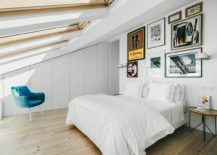 It is the top level that holds the bedrooms, bathrooms and the master suite along with space-savvy work zones. 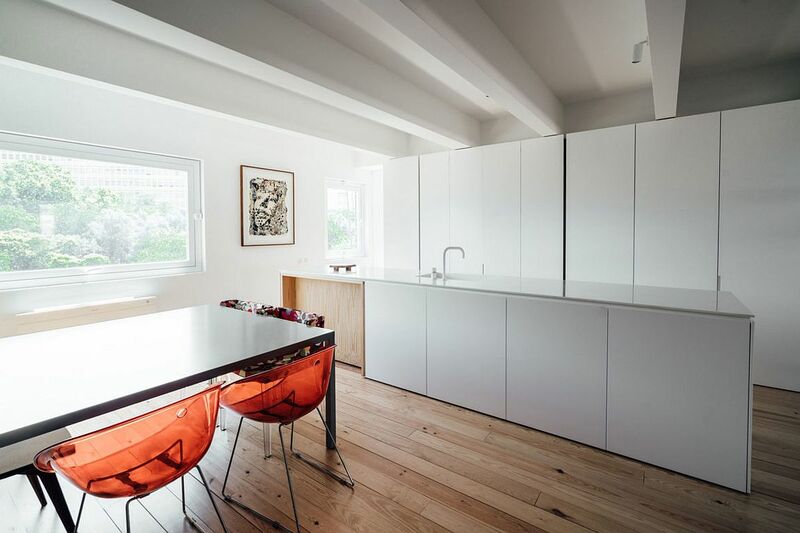 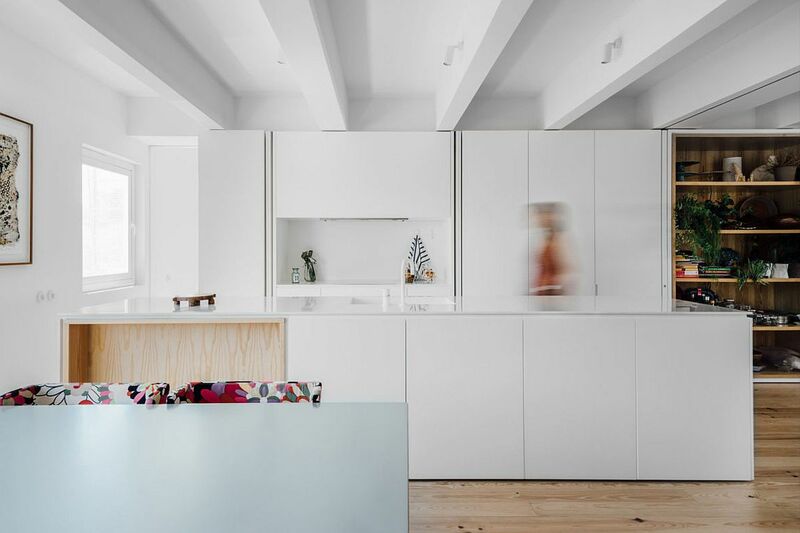 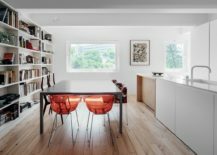 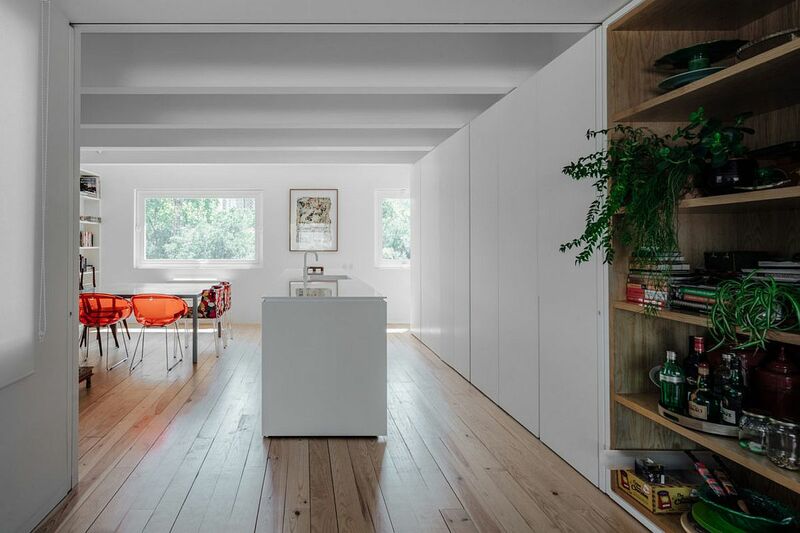 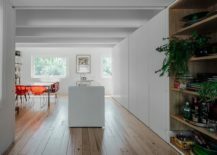 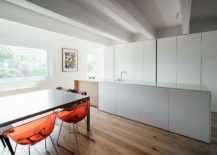 Skylights, ergonomic shelving and cabinets that blend into the white backdrop complete a delightful conversion that relies on open spaces, extensive use of white and abundant natural light to get the job done.